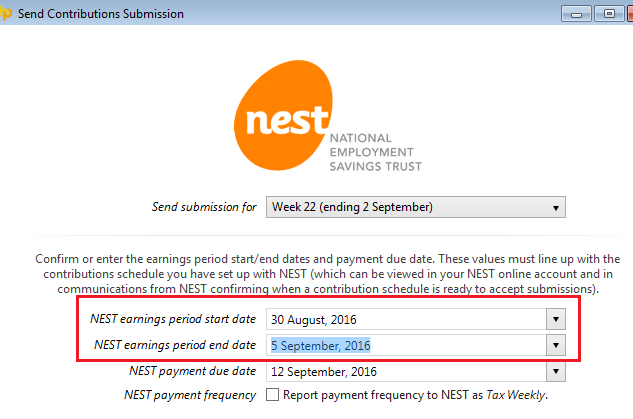 Should you receive an error message when trying to submit/upload either an enrolment file or contributions file to NEST, please refer to NEST's error listing for further information on what may have caused the issue. Please note: These error messages are generated by NEST and not by BrightPay. Further support is available by phoning NEST's customer support centre on 0300 020 0393 or visiting their website at www.nestpensions.org.uk. The most common NEST error message to occur is error IFC01916. It is therefore important to check each of these reasons and correct them accordingly, in order for your pension files to submit/upload successfully. Once your group(s) in BrightPay have been successfully matched to your NEST online group(s) as per guidance above, BrightPay will be able to automatically retrieve the correct payment due date for your group(s) from your NEST online account. 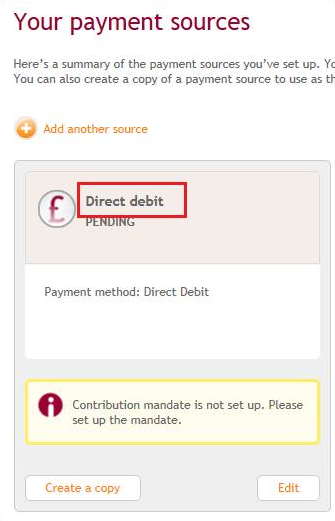 Please note: if a user has multiple groups of the same payment frequency, each with different pay schedule due date settings, BrightPay will be unable to retrieve the payment due dates in this instance. 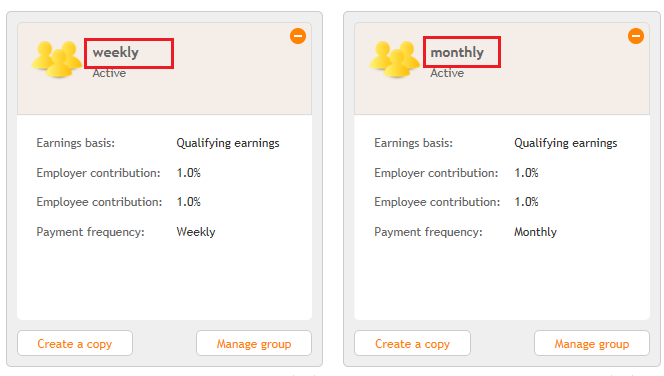 In the event that the contribution schedule you have set up in NEST doesn’t match with that in BrightPay e.g. 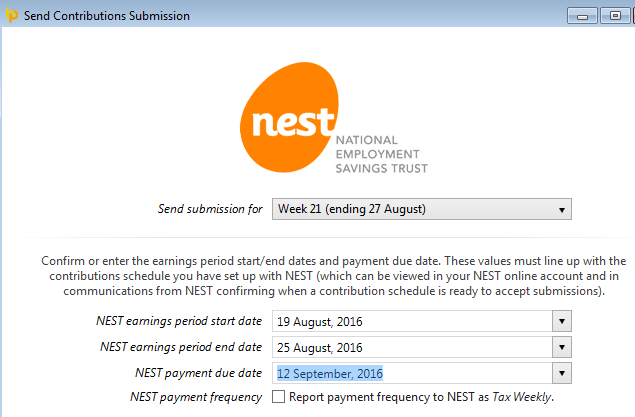 your weekly payroll in BrightPay runs from a Saturday to a Friday, but in NEST it has been set up to run from Monday to Sunday, this will cause your contribution file submission to fail, as the two schedules do not match. As an alternative to the above, the reasons which cause error IFC01916 can also be checked within your NEST online account. We would therefore recommend checking the above and making any necessary amendments in BrightPay before trying your submissions again. c) In the event that the contribution schedule you have set up in NEST doesn’t match with that in BrightPay e.g. a weekly payroll in BrightPay runs from a Monday to a Sunday, but in NEST it has been set up to run from Saturday to Friday, this will cause your contribution file submission to fail, as the two schedules do not match. 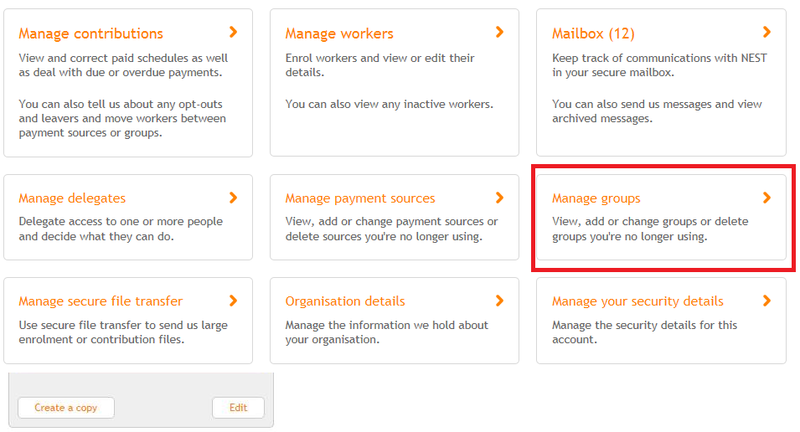 In this instance, you can set up a new group within your NEST online account with a matching schedule and move applicable members over to this group. Please contact NEST on 0300 020 0393 who will be able to provide instruction on how to do this.